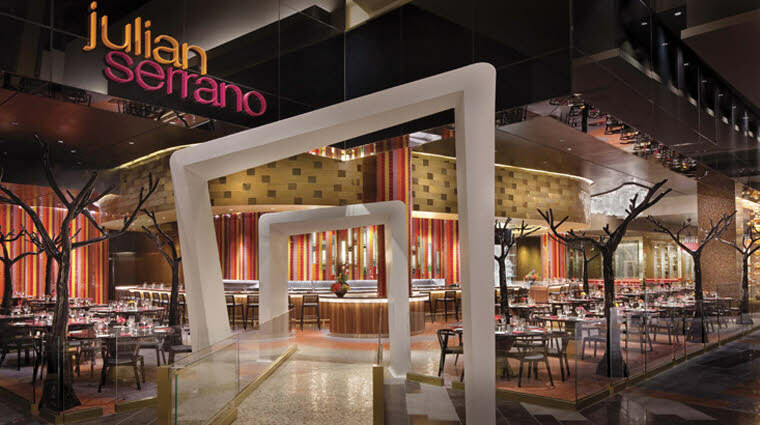 You can do some great people-watching at Julian Serrano. The restaurant opens right into ARIA's lobby, where hordes of tourists come and go — but your eyes will be fixed on the innovative Spanish tapas. 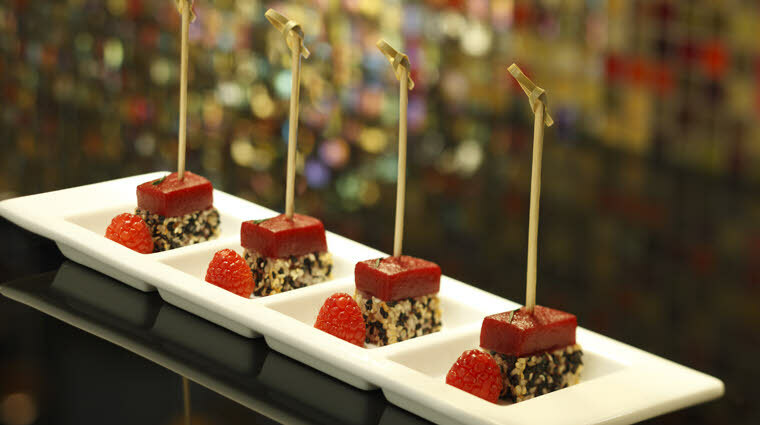 Try signature dishes like the lobster-pineapple skewer, salmon with truffle bechamel sauce and portobello mushrooms, as well as a refreshingly simple apple-manchego salad with chives. Go with a group of high rollers and order away — these plates are meant to be shared. Almost as deliciously unique as its innovative cuisine, the interior design at the chic establishment is one that even the most seasoned foodie won’t soon forget. Infused with authentic Spanish flavor and modern elements, the energetic and lively décor boasts an array of colorful tiles that form vertical stripes on the walls. A long, sleek bar that curves around the majority of the space serves delicious signature cocktails for thirsty guests at Julian Serrano. There's also a hopping bar scene, where Spanish wines and housemade sangria keep the mood light and fun. Request a table that extends off the bar because these spots have the best views of the drinks being prepared, as well as the vibrant but more serene dining area. Adding to the convivial atmosphere is the autumnal décor: the dining room is decked out in inviting reds and golds with tall, glossy black tree sculptures sprouting between the tables. 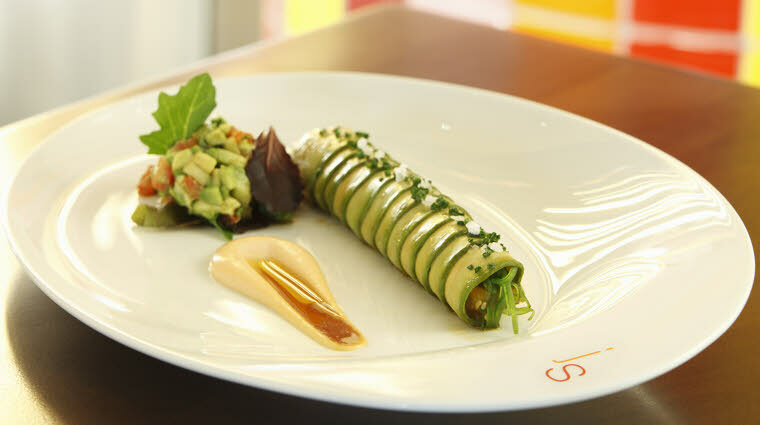 The Spanish-influenced tapas eatery doesn’t have an overly formal atmosphere so business casual is the way to go with regards to proper attire. If you’re craving something a bit salty or if you’re in the mood for something breakfast-esque, try the huevos estrellados, a savory mix of eggs, potatoes and imported Spanish chorizo. 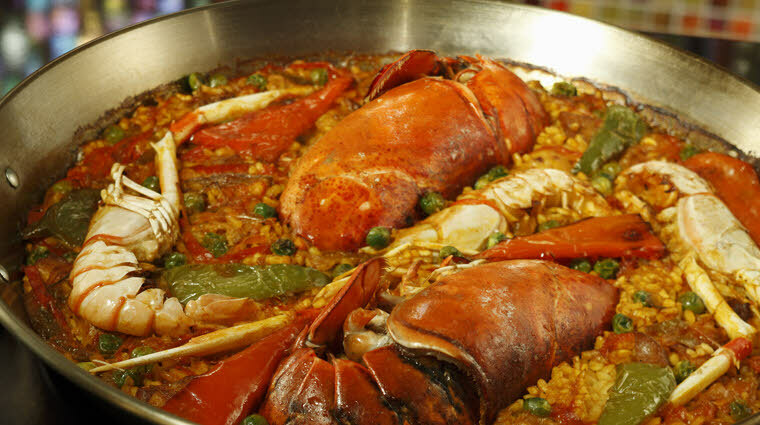 A staple in authentic Spanish cuisine that combines rice, vegetables, chicken or seafood, the restaurant’s signature paella dish is the perfect way to sample Julian Serrano’s take on this timeless European classic. An absolute must during your dining experience here is the imported Spanish “Pata Negra” ham, which is carefully carved off a leg in the kitchen and served with savory garlic tomato sauce. Satisfy your sweet tooth with an order of buñuelos, a delicacy made of fried dough balls that have been snacked on for years all over Spain. Dubbed a “chef’s favorite,” the white ceviche is made up of white fish, red onion, rocoto pepper, cilantro and lime juice. 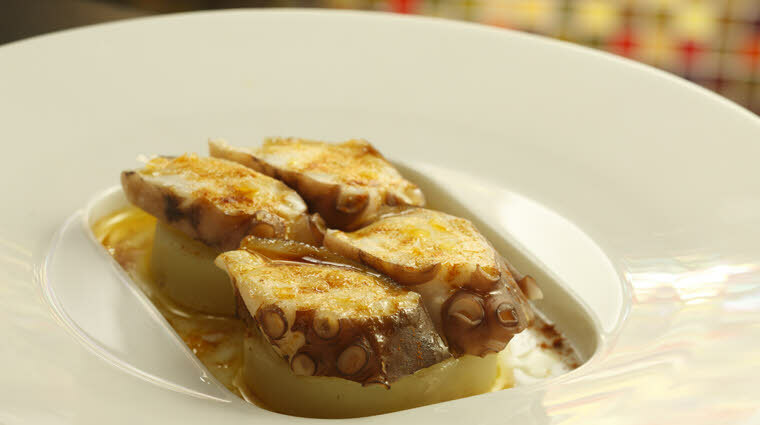 It’s one of the dishes you can’t miss out on at Julian Serrano.